SACOSS is the South Australian Council of Social Service, the peak body for the non-government health and community services sector in South Australia. SACOSS does not accept poverty, inequity or injustice. We will be a powerful and representative voice that leads and supports our community to take actions that achieve our vision of justice, opportunity and shared wealth for all South Australians. We will hold to account governments, business and communities for actions that disadvantage vulnerable people. The Federal Election is fast approaching and it promises to be crucial for the health and community services sector. Big national debates over tax and expenditure which impact on the funding for our sector and the services we provide. Plus housing policy, health, NDIS, Newstart, job services, aged care, Aboriginal voice, climate change and anything else YOU put on the table. The South Australian Council of Social Service has expressed alarm today at the further cuts to South Australia’s GST entitlements in last night’s Federal Budget, a cut which will almost certainly have dire consequences for the State Government’s own budget. SACOSS is calling on the State Government to urgently look at state revenue measures, which will address this new revenue hole which threatens their ability to fund vital services. 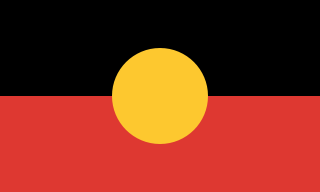 SACOSS acknowledges traditional owners of country throughout South Australia, and recognises the continuing connection to lands, waters and communities. We pay our respect to Aboriginal and Torres Strait Islander cultures, and to elders both past and present.